If you want a fundraiser that will really wake everyone up and earn your group some nice cash, then you may want to try a coffee fundraiser. Since over $2 billion is spent a year on coffee, you can be sure that you’ll find people who will buy yours. It's also a great way to sell something other than chocolate or candy – coffee appeals to everyone who has to get up in the morning and get going, and a nice choice of flavors and roasts will get a lot of people interested, even those who don’t like regular coffee. Luckily, there’s a variety of coffee fundraising companies to choose from, so the only thing you’ll have to do is get out there and sell it! There are two ways to host a coffee fundraiser: have a brochure sale, or have an on-hand sale. Brochure sales work by ordering catalogs from a coffee company and then passing them out to potential customers. The customers choose what they want from the catalog and give you the money upfront. You will collect all the money and order forms and tabulate the order, and then place one large order to the company at the end of the fundraising period. Afterwards, you’ll deliver the coffee to your customers when it is shipped to you. An on-hand sale requires you to buy all the coffee first and pay for it upfront, and then sell it directly to the customer and keep the proceeds. This has many advantages; firstly, your customers won’t have to wait for their orders to be shipped; secondly, they’ll be able to smell and see the coffee right in front of them, and thirdly, you can get a custom label, in some cases, pasted on the bags in order to help sales. A suggestion to get good sales is to brew a few pots of coffee for your customers to try. The smell of the freshly-brewed java will attract people to your table, and the promise of a free cup of coffee will get them to stay there. Once you’ve chosen your method of sale, you’ll need to choose a company to provide the coffee for your fundraiser. Many companies have different options for coffees, including different flavors, roasts and blends. You can also choose from caffeinated or decaffeinated coffee. 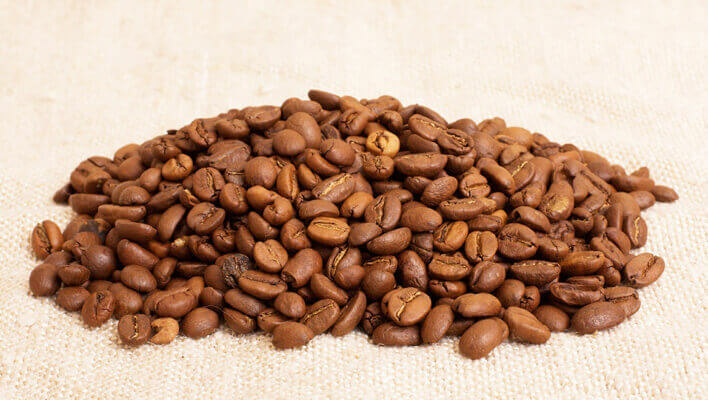 Some even have ground coffee and whole bean choices, so if you have customers who are interested in grinding their own coffee, you can provide them with a bag of whole beans. Make sure, when you choose a company, that there isn’t a minimum order you must meet. Also check to see how much shipping will cost you. Some companies will provide extra materials to help you with sales, like posters or flyers. Also, find out if they offer an incentive program to help your participants be motivated to sell more. When you sell coffee, you must be very aware of how fresh it is. Freshness is extremely important to the taste and quality of coffee. When you order from a company, check if they grind and package orders specifically for each group they sell to. If they don’t, ask how often they grind their coffee. Also, ask how long it will take to receive your order once you’ve placed it, because if it takes too long, your coffee may go stale and then you will have annoyed customers who probably won’t buy from you again. Companies should have a relatively quick turnaround time. Coffee fundraisers have a profit margin of approximately 25% to 50%. You can make more if you host one multiple times through the year or sell to members of the community. On-hand sales will likely make more than brochure sales, since you can set your own price for the coffee once you have an inventory. Companies will generally set the prices of the coffee themselves if you decide to go with a brochure sale. Although many people like coffee, there are many more that don’t, and that can make it hard to sell to people who would normally buy something like a chocolate bar or another item. Additionally, renting stalls and tables at area events can be very expensive, but normally does provide more sales. Depending on the sale method you choose, there are advantages and disadvantages to both on-hand and brochure sales. On-hand sales allow you to sell the product directly to the customers, but require a lot of money upfront. Brochure sales allow you to place the order when you have all your customers committed to buying the coffee, but take longer to deliver the product to you. You’ve got to discuss with your group what will work better for your organization. Coffee fundraisers are great ways to make money, and are a nice change from the same old chocolate or candy sales. After all, there’s nothing better than enjoying a cup of coffee for a good cause!